To get in on early bird pricing for your GS Cycling membership, sign up now (deadline January 15th). Looking back on 2018 there have been many points of pride. New rides and routes tested in 2017 are now a mainstay for the club, lead by an outstanding group of ride leaders and ambassadors. Great weather meant we had intrepid club members attending the group rides from the onset of the season, while in typical fashion, our racing members were laying the founding for what would be one of our best seasons to date. Once April hit, the season was already in full swing both on and off the bike. West Point hosted a number of social events for new and returning members, allowing everyone to spend some time with club mates while not in spandex. There was no shortage of quality chamois time with clinics, group rides, fondos and events near and far. GSC had an amazing weekend at The BC Provincial Championships, with the team walking away with the Elite and U23 Provincial Championship jersey; Alex Amiri took to the top set of the podium. Alex’s support of the team as an ambassador, coach and service to the BC cycling community were rewarded at the end of the season being named Cycling BC 2018 Sportsman of the year. These results were just a small sample from a team that were able to produce outstanding individual and team performances all season long. For GSC, the defining moment of the season again took place on Cypress mountain where 800 riders came together to raise a transformative $429K for pancreatic cancer research, bringing our total to just under $3M! The event was also recognized by Cycling BC as the event of the year for 2018! It’s important to thank all of our wonderful sponsors and partners; Glotman Simpson, Buntain Insurance, RC Dental group, West 4th Physio, ZLC Financial, Feenstra Architecture, The St. Regis, Westpoint Cycles, Trek and Giro; without them none of this would be possible. For 2019, you can expect a few things to change. Rider feedback will continue to drive the addition of new routes for the club rides (Congratulations to Matias for filling out the survey and winning the free membership draw). 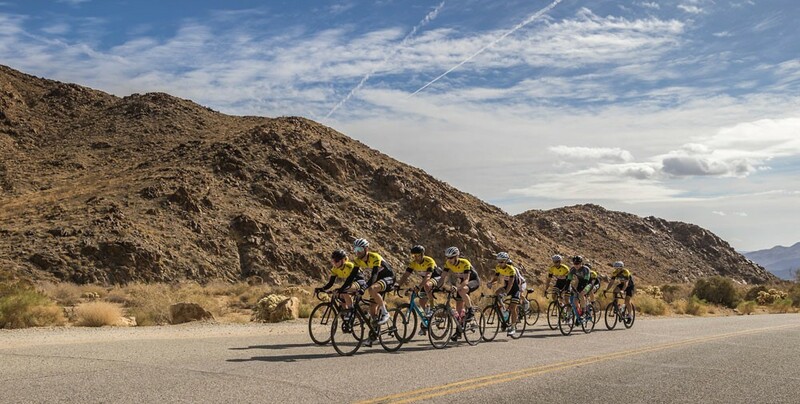 One-day events like gran fondos and social rides will have more team support from dedicated ride leaders and ambassadors. For those looking for an adventure free of vehicles, gravel rides will become part of our club ride season. Over the next few months we will look to feature each of them in newsletters so you can get to know them better. New members: We will be closing registration as of April 30. This change is to ensure we are able to provide a streamlined onboarding of new members. This includes jerseys, skills clinics and a social evening. If you have any friends who are considering joining please feel free to forward this email to their attention. Join us for a big day of riding and exploring some of the local gravel routes! We’ll be heading through Richmond, over to Delta to explore some beautiful trails and waterfront dykes. Check out the map below for our route. If you ride from Vancouver, expect a 110-120km ride, and 4h30-5h ride time. The route is flat, but the combination of gravel and wind make for a long day out on the bike. You can expect a B2 level ride, but longer than our typical Richmond loop. The paths are not technical, making it the perfect intro to gravel route for roadies curious about getting off road. Off Road tyres are recommended! Our annual year end celebration is just around the corner. Save the date and celebrate another great season with our social event on Saturday, November 23, 2018. Please take a moment to RSVP and stay tuned for more details. Was there a specific event that rocked your world this season? Is there some valuable feedback that you would like to provide for the upcoming season? Is there something you would like to see next year? Take five minutes and complete the following survey and enter into a draw to win a 2019 Glotman Simpson Cycling club membership! Where: Upper Parking Level above No Frills and Cuppa Joy Coffee on West 4th Ave. at Alma St. While we cringe at the thought of cloudy skies and rain drops, the fender season is quickly approaching. As of Saturday, October 1, club rides move to the winter riding schedule. Winter group ride time is 9 AM, and will follow the Richmond route. During the winter there are no scheduled ride leaders. There are no designated women's group rides. Rides should be no-drop and full length fenders + extensions are mandatory. Rides meet at the upper parking level above No Frills and Breka Bakery on West 4th Ave at Alma St.
Blink, and you will have missed it. That is how fast cyclocross season flies by. Glotman Simpson Cyclocross is proud to cohost the season finale, at Queens Park in New Westminster, on November 11. If you are still interested in experiencing the thrill of cyclocross racing, or the pleasure of heckling the racers while they suffer in the knee deep mud, come by to show your support. We have extra bikes you can try if you want to ride, and we have treats for you to hand up if you wish to spectate only. And you can tell: as soon as the autumn leaves hit the ground, cyclocrossers come out of the walls, with talk of handups, bunny hops, and tire pressure. Although the official season has not started yet, some of us have started racing already. It was a full weekend, with no less than 3 races to choose from, MFG Cyclocross in the US, Cross on the Rock with Topaz Park on the island, and SORCE Toonie CX with Watershed Race in Delta. We need your support, GS! Come to the races, volunteer or bring your best heckle game! If you're wondering why the name, yes, this race features a donkey! Intended as a charity race for youth development, all proceeds to the race go to the Devo Youth Squad. Located in Castle Park, it features long, fast and flat sections, sand, snow (! ), and the famous Heckler Hill, where all the spectators congregate and shout insults (err, encouragement) at the racers. Located in the heart of Vancouver, Vanier Park is without a doubt one of the largest cyclocross races in the Lower Mainland. Although mostly flat, this is a very fast course, favouring riders who can ride at the limit, and "dig deep in the suitcase of pain". Come by for a waffle. Or, if that doesn't entice you, Vancouver's beautiful skyline, or even the whales! (Yes, they visited the bay a couple of times). UBC joins the ranks of cyclocross racing hosts with a new venue for the 2018-2019 season. We couldn't tell you much about the course, other than that it's probably going to be great. Really great. Part of the Lower Mainland Series, and despite being far from home, this race happens on the Cultus Lake camping grand, right on the lake. And if you think lake, you must think sand. Lots, and lots, and lots of sand. It will chew up the bikes, and it will make your legs burn. But this is where the sand experts shine. Yes, you saw this right - October 7 and October 8 doubleheader! This race features gravel, fast gravel sections, a sand pit, potentially a mud pit (depending on the weather), and what the seasoned veterans call "The Beast"! "The Beast" of a climb will chew you up, and spit you out - and as your legs get heavier and more tired with every lap, the struggle gets real. So is the suffering - and you can see that on the riders' faces. But sometimes they're greeted with cookies at the top, so it's all worth it! This is a race for the off camber and single track experts. Also, one of the few races to feature an uphill tarmac start, it will start fast and furious, then slows down as riders bottleneck at the barriers. The fast single track is what will separate the technical experts from the raw power riders, and the off camber experts will rule all. If you are still reading, congratulations, and stay with us. This is where things get nuts! How nuts? Inflatable minion costume on a bicycle nuts. Or all the GSX with bee wings and antennae swarming the entire field nuts. Don't miss this one. The crazy Halloween costumes are worth it. The crown jewel of cyclocross racing in the Lower Mainland. If you can only attend one race - make it the best one. Usually wet, rainy, and cold, this race is not anything less than a mud fest. This race requires a lot of strength, not only physical, but mental too. Taxing on the body, and taxing on your mind, as your brain will work overtime to find at least a sliver of traction. We will keep you posted once Cycling BC announces officially the date and venue. Cyclocross Master Wai-Ben Wong finished 2nd in 2017, can he win it in 2018? We sure hope so. Come find out, and witness the moment LIVE!